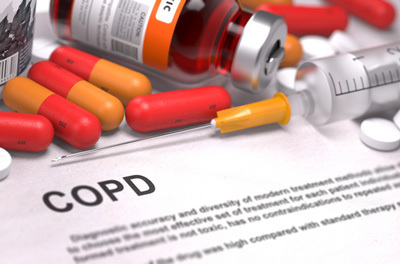 Verona Pharma has announced positive headline data from a Phase IIa study that assessed the bronchodilator effect of nebulised RPL554 administered on top of salbutamol and ipratropium bromide in patients with chronic obstructive pulmonary disorder (COPD). 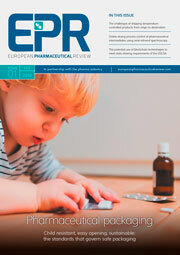 RPL554 is a novel inhaled dual PDE3/PDE4 inhibitor with both bronchodilator and anti-inflammatory properties in the same molecule, which is currently in development as a nebulised treatment for acute exacerbations in COPD patients in a hospital or for maintenance treatment in a home-care setting. Such patients typically require additional bronchodilation, despite being on approved COPD bronchodilator medications such as salbutamol, a beta2-agonist, and ipratropium bromide, an anti-muscarinic. The Phase IIa met its primary objective: RPL554 produced a highly significant and a clinically meaningful additional (>60%) bronchodilation on top of the administered standard of care bronchodilators, salbutamol and ipratropium bromide. The bronchodilator effects seen with the combinations were significantly larger than those of either salbutamol or ipratropium bromide alone, which were in turn all significantly greater than placebo. The secondary objectives of the study were also met. The combination of RPL554 with salbutamol or ipratropium bromide caused a significant reduction in trapped air in the lung (residual volume) as compared to salbutamol or ipratropium bromide alone, suggesting that RPL554 treatment may reduce dyspnea, a major debilitating symptom of COPD. Consistent with previous studies, RPL554 was well tolerated both alone and in combination with no effect on vital signs or ECG parameters. No gastro-intestinal adverse events recorded during the study. Dr Jan-Anders Karlsson, the CEO of Verona Pharma, said: “The robustly positive results from this well-controlled phase IIa trial vindicate the rationale for developing a novel bronchodilator for treatment of patients with moderate to severe disease and acute exacerbations of COPD, who will typically already be on other bronchodilators, but require additional relief.